Toyota’s Indian subsidiary, Toyota Kirloskar Motor (TKM) plans to raise production capacity of its Etios series models by 75% by early 2013. The company plans to increase the production to 2.1 lakh units by next year, a press statement from the company said. Toyota announced that the Etios series which includes the Etios sedan and the Liva hatchback has posted sales of over one lakh units. The company achieved this milestone since it entered the mass volume market in India. 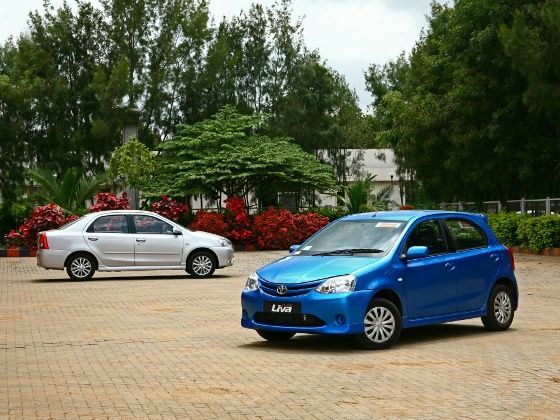 The Etios was launched in December 2010 followed by Etios Liva in June last year. The company sold 50,157 units of Etios in 2011-12, making it the third largest selling sedan in the segment. Share your experiences with Platinum Etios?